We hiked up to Lac de la Muzelle in the Parc National des Ecrins. This could well be the most beautiful hike we have ever done. It's a tough hike with more than 4,000 feet of climbing in just above 4 miles up; and what goes up must come down. Poor old knees. It was well worth the effort, however. 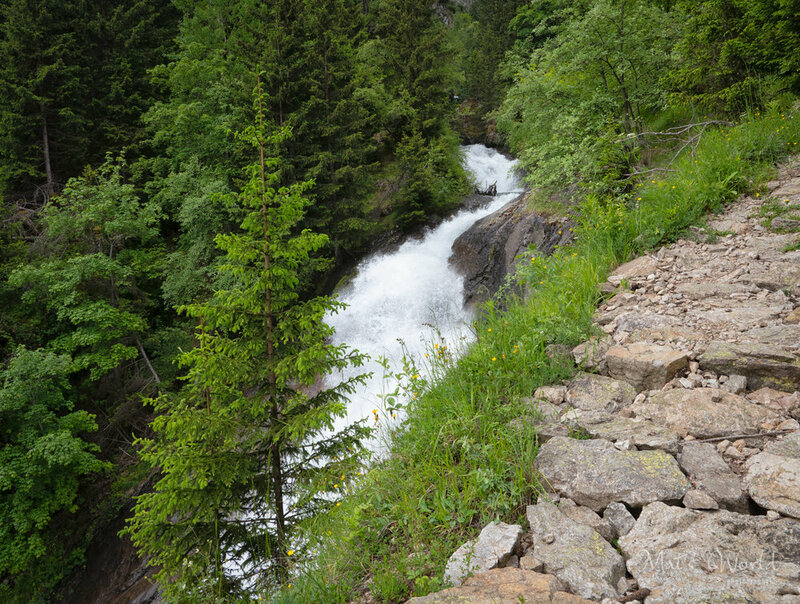 We started up a very steep canyon, with a series of many waterfalls. Once we came out of the trees, it was one beautiful mountain view after the other. Here are a few photos along the way. I added a short description to each that can be seen on hover. There were waterfalls all the way up the canyon. Coming out of the forest. It leveled out a little bit. A long section with many switchbacks leads from the river up a steep mountain. We could see Les Deux Alpes ski resort in the distance. A nice meadow just before reaching the lake. Shawn is a tiny dot on the trail just before coming down to the lake. Alpine meadow in all its beauty. Shawn looking down at Lac de la Muzelle, with the Refuge just above it. The lake. Note the little iceberg! Distant alpine peaks on the way back. Overall, an absolutely gorgeous hike.